Now I'm no brow master (as much as I long to be! ), but I do like to spend a bit of time on my brows. So if there's a brow product out there that can help me become one step closer to gorgeous brows, I'm there! I couldn't help but notice all this talk about the Archery brow pencil, so of course I NEEDED to try it. It's much like the Anastasia Brow Wiz, thanks to the retractable thin pencil on one end and the spooly brush on the other. I don't know about you, but sometimes my brows have a mind of their own and this is where the all important brush end comes in to play. It effortlessly tames and controls any strays, with minimal effort. 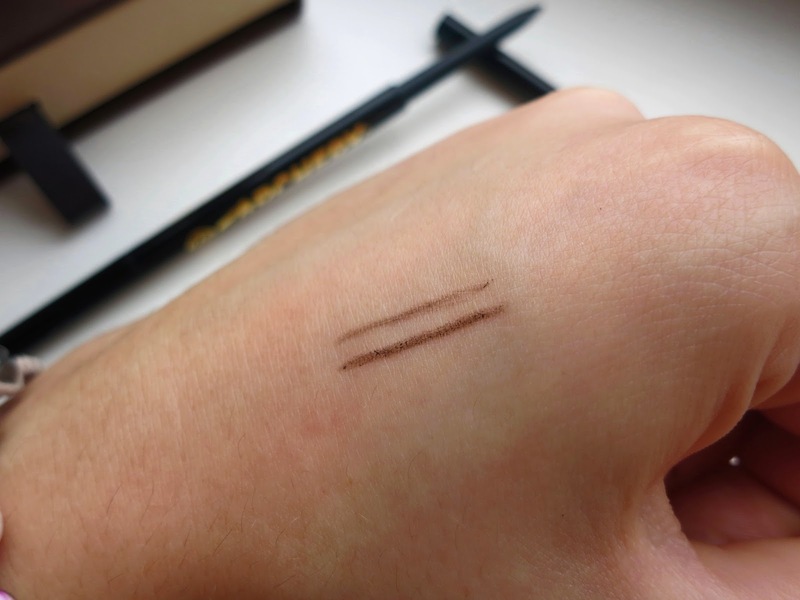 It's great for creating your perfect shape and keeping those brows in line! Once you've tidied up your brows, it's time to use the pencil. 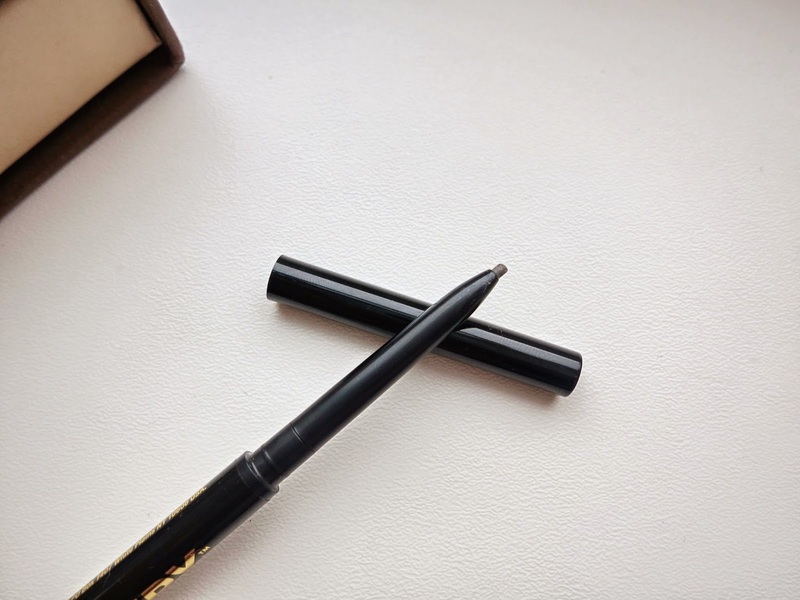 The pencil is super thin and light, giving you a perfect, precise shape. You can easily create a natural brow with this pencil as it's very thin and soft, but you can also build it up to create a more defined statement look. It's very easy to control, so it's pretty hard to mess your brows up, which is great for us brow beginners out there. One of the only down points to this product I can think of, is that it only comes in two shades - Hot Chocolate for the brunettes and Blondshell for the fair haired beauties. Now I have light brown hair and dark eyebrows and I still find this Hot Chocalate shade the tiniest bit too dark, I would of loved a little bit of a lighter shade to try. Don't get me wrong, it's a great shade and I will continue to use and probably re purchase, but I do think two shades just isn't enough for all the different hair colours out there! I really hope you have enjoyed my little series on my new favourite Soap & Glory eye products, that have the potential to maybe even becoming holy grails! You can catch the first part of my Soap & Glory Eye QUEENS series, Supercat Carbin Black Extreme Eyeliner Pen if you haven't already. 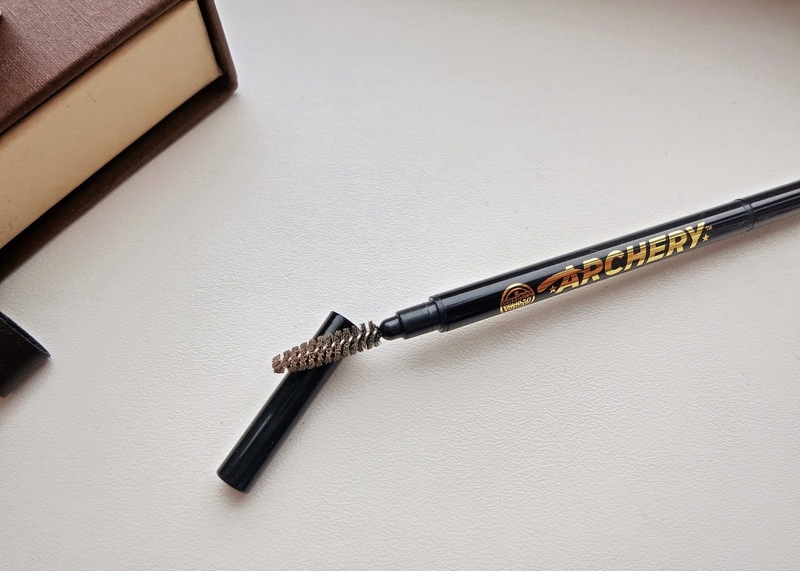 Have you tried the Archery 2-in-1 Brow Filling Pencil & Brush? 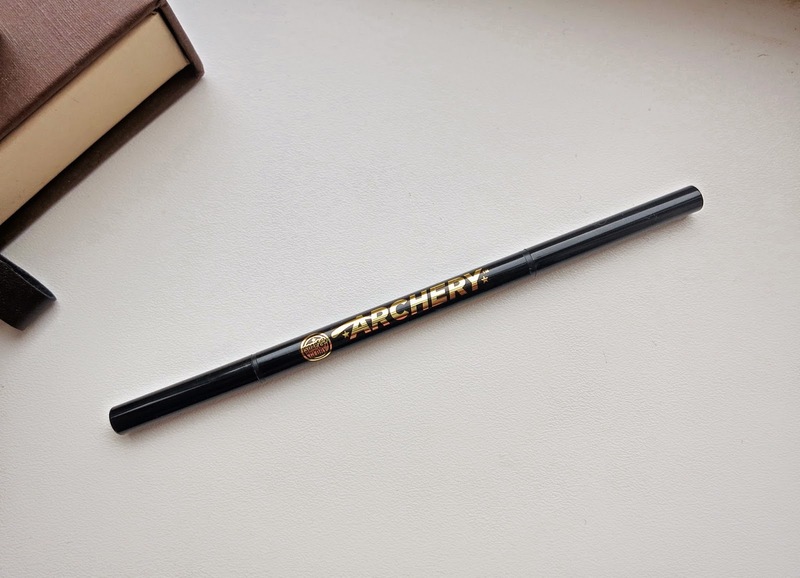 Also how does it compare to the Archery Brow Tint & Pencil? Love the look and sound of these, im so used to using my benefit browzingz but think ill have to give this a try!